I share this story often as I realized the impact the Positive Discipline tools have in daily life and thankfully through practice, our mornings are becoming a well-greased machine! Our family was getting ready for the morning dash out the door. Mr E has preschool, I had baby sign and sensory classes to teach, and Miss K was going to daycare. Naturally, I lost track of time. And then realized that we had just a few minutes left before being really late for our day. I frantically shut off the tablet, told the kids multiple times to get ready and stand by the door, as I made many trips in and out of the house loading up supplies. I finally picked up Mr E, his jacket, shoes and backpack and carried him to the car. Followed by Miss K. I was filled with adrenaline and my children likely had this same tingling feelings in their toes. I stopped at the 4 way stop sign leaving the community, and realized my part in the morning madness. I created an environment that was not conducive for learning nor teaching. I had to take responsibility for my part. I wanted to so desperately ‘Ask for a hug’. Yet, this connection was not going to help us work towards a more peaceful morning routine. I had to own up to my mistakes. I had to apologies and work on a solution. I gently called Mr. E’s name and with the “3 R’s of Recovery” in my mind, I began to apologies. Recognize- I recognized the problem, and took responsibility for my actions. Yes, there was a lot of self-blame. Yet, I needed to be kind to myself as well. The problem was that I lacked time management skills, especially in the morning. This often left little time for us to work together to gather the much needed items leaving the house, as well as my children leaving the house feeling ready and comfortable for their day. Reconcile- Mr. E, I made a mistake. I lost track of time and did not provide you with enough information that was needed to gather your items for preschool. I am sorry. Resolve – I want to try something new tomorrow. I am going to set the kitchen timer for myself as a reminder that we need to start working together to leave the house in a way that we are both calm and content. We will also need to create a routine chart to help us both! We can work on these tonight. I was amazed at what happened next. Mr E responded with such empathy. He whole heartedly accepted my apology with a huge smile and finished off with a huge smile on his face and an “I love you!”. The next day, I set the kitchen timer for 45 minutes. This was my first warning, I started to back the vehicle with my teaching supplies. Then I set another timer for 20 minutes remaining. When this went off, I went over to Mr E and Miss K who were playing and used various Positive Discipline tools such as “asking versus telling” and this created a calm morning where we left the house with more than 5 minutes to spare. Mistakes are wonderful learning opportunities! Sometimes when people find out who I am and what I teach, they comment that I must be the perfect parent. I respond by saying, I am a parent who is learning, and making mistakes along the way. And that this is okay, because through my mistakes I am able to learn and strive for improvement. 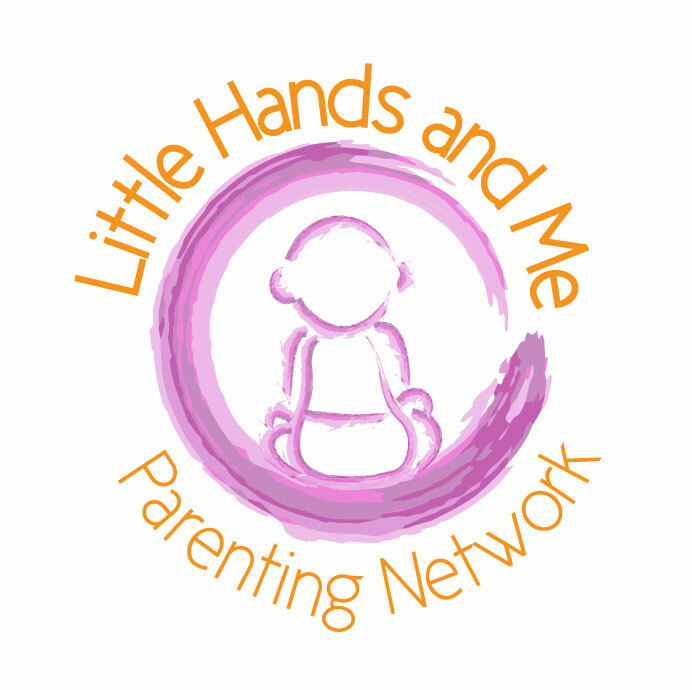 Find your village with Little Hands & Me Parenting Network!